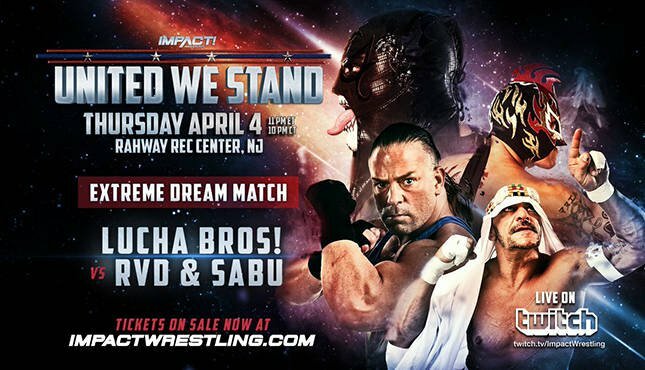 RVD & Sabu are back! Who won gold in Mexico? Jimmy Jacobs speaks on Vince McMahon and more. 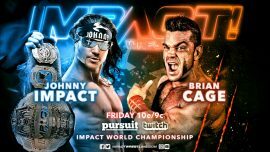 Highlights from Friday night's Impact Wrestling. 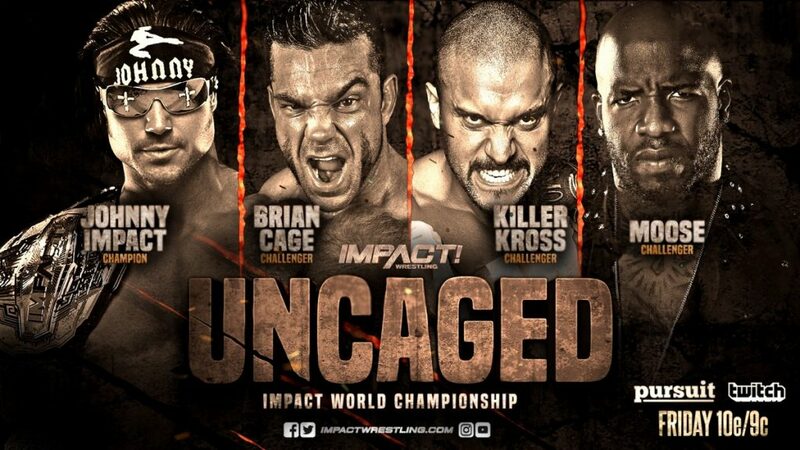 Check out Impact Wrestling highlights from Friday's episode. LAX takes on oVe and more! 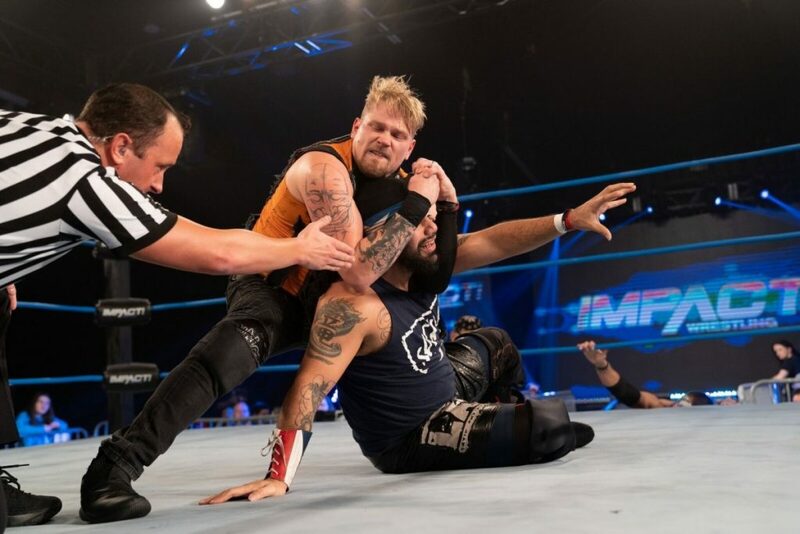 Here's what to expect from the Impact Wrestling tapings in Mexico City. 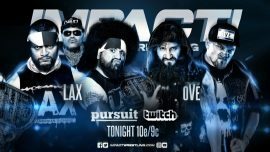 Impact Wrestling debuts on Pursuit! 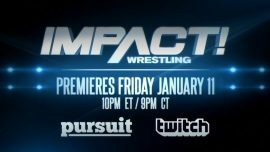 Impact Wrestling's first PPV of 2019 is available for pre-order! Who started off 2019 winning gold in Impact Wrestling? 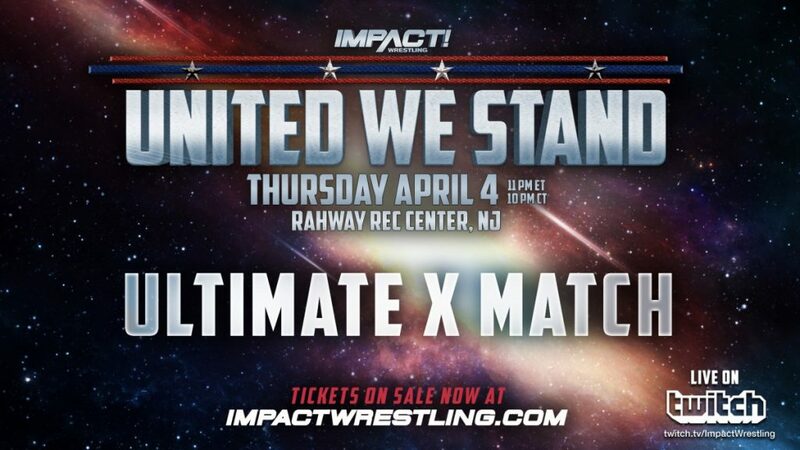 Someone had to win the vacant X-Division Title - click to see who it was! 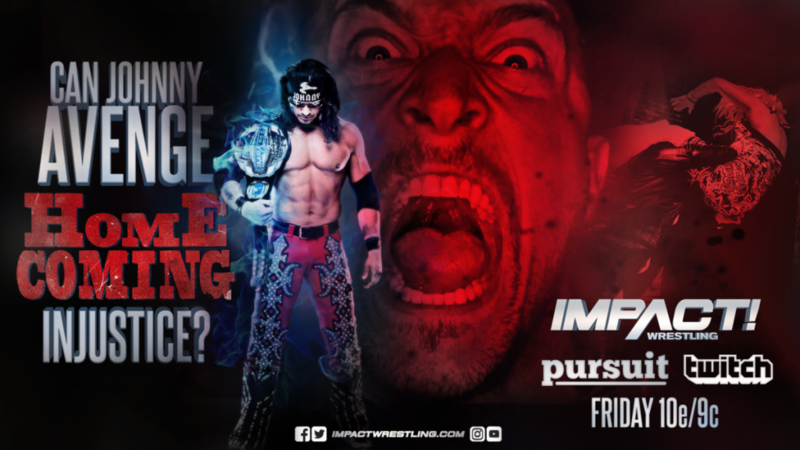 Who walked away winners from Impact Wrestling's first major show of the year? The build to Homecoming hits its climax! 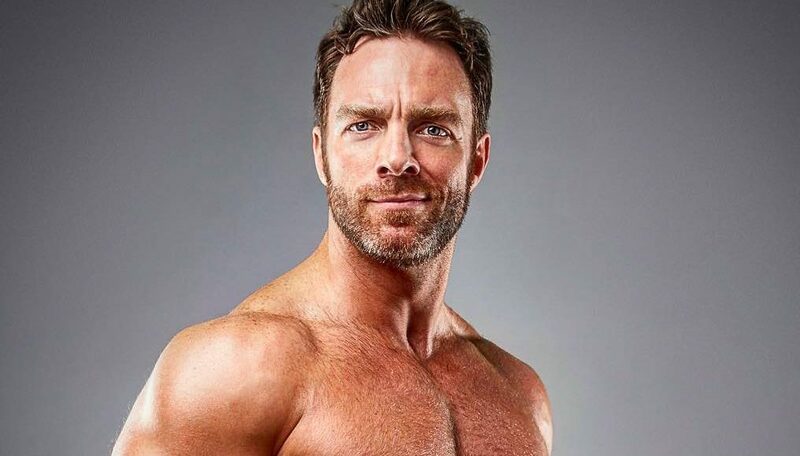 Featuring Eli Drake vs. Johnny Impact for the IMPACT Global Championship from Ottawa, ON. 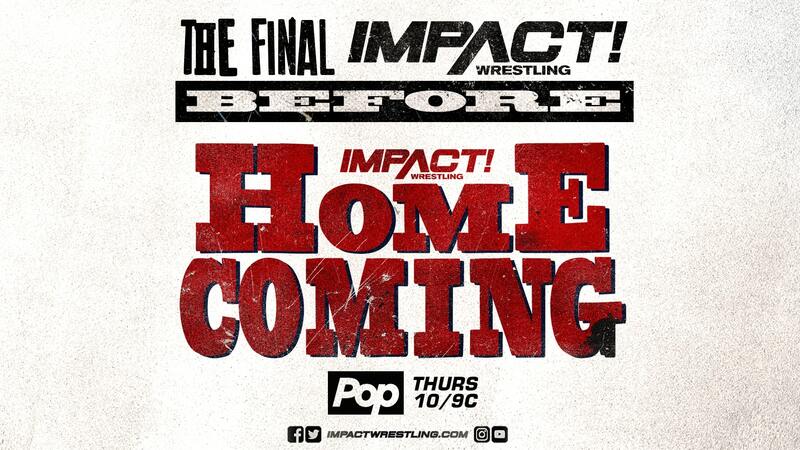 Featuring Lashley vs. EC3 for the TNA World Heavyweight Championship, The Broken Hardys vs. Decay and more from Orlando, FL!